Denplan is the largest dental capitation scheme provider in the UK and our association with Denplan spans over 20 years. Capitation is an agreement between the patient and the dentist where, on payment of a fixed monthly sum, routine treatment is carried out at the practice at no extra cost, other than laboratory fees if incurred. Elective cosmetic treatment (like tooth whitening) or treatment on referral elsewhere, are excluded. Denplan is not able to guarantee equal quality of dentistry or the same approach between practices, but does insist on the adoption of minimum standards. Capitation is not directly transferable from one practice to another. At the first appointment an examination is made and x-rays may be taken for which a charge is made. An initial estimate is formulated which may change after further investigations and the treatment plan has been discussed. Treatment required is charged at the current private rate. Alternatively, if you are still making Denplan payments to another practice, you may wish to have treatment carried out there. If you are a Denplan patient moving from another practice and have a ‘leavers certificate’, the initial examination will cost £30. As long as you are dentally fit and have given Denplan the required one month’s notice to end your previous contract, you may immediately join our Denplan scheme. To enter the scheme your mouth should be in a stable condition. A simple assessment is made by the dentist to determine your fee band. The band in which you are placed reflects the average expected treatment needed and is not necessarily the same as at your previous practice. Sometimes we may take on patients whose mouths are unstable but the banding level may be increased to reflect the extra time needed, or certain treatment may be excluded. Not all mouths are suitable for capitation. An insurance element is included in your membership. This provides you with cover for out of hours call out fees, emergency treatment when away from home and treatment for dental injuries resulting from trauma, including laboratory fees. Denplan provides a way for you to care for your dental needs with fixed monthly costs. Unfortunately, problems may arise from time to time, but financial implications need not be an additional worry. Your decision on treatment options may be dictated by what is right for you and not by cost issues. So for peace of mind, once you have your mouth in a condition you want to keep, Denplan may be the right choice for you. 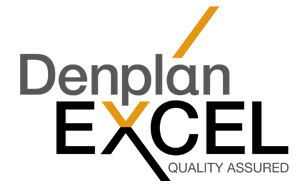 We are delighted to announce that we achieved our Denplan Excel Accreditation in December 2010 this is a visible sign of our commitment to offering you the highest level of care. The Denplan Excel Accreditation programme provides a simple, effective way for you to understand all the aspects of your oral health, and show that we provide you with quality assured dentistry. Ensures we are practising in line with the latest recommendations and best practices in dentistry and are committed to continually improving the practice.